Since 2012, Dr. Thomas Mathew M.D., FACP, has served as the medical director for Regal Heights and Regency Healthcare & Rehabilitation Centers, owned by Nationwide Healthcare Services. Dr. Mathew has consistently been recognized for his leadership in the industry and, in 2013, he received the “Rising Star” award. Then in 2015, he was recognized by the Delaware Health Care Facility Association as the “Post-Acute Medical Director of the Year”. In August 2006, Dr. Mathew completed his internship and residency requirements at Christiana Care Health Systems. Dr. Mathew is a hospitalist and trained in providing care for hospitalized patients. 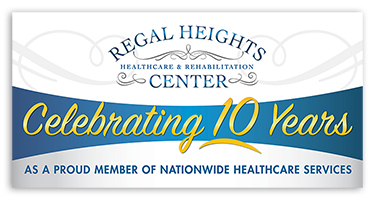 As Medical Director for the Regal Heights and Regency Healthcare and Rehabilitation Centers, Dr. Mathew meets with their clinical and rehabilitation teams to review charts and identify residents who may be at a high risk for re-hospitalization. As a hospitalist, Dr. Mathew is in the best position to meet with residents and their families to discuss how to support them and prevent future hospital stays. In addition to his work at the Nationwide facilities, he serves at Christiana Care Health Systems and St. Francis Hospital in Wilmington. He is also a post-acute physician for IPC, a national physician group practice. Nationally, Dr. Mathew supports IPC by leading the company’s initiative to improve health care outcomes through a new Bundled Payments for Care Improvement program. This program is designed to increase coordination between health care providers and to improve quality in post-hospital and skilled nursing settings. Dr. Mathew has also served as an Associate Medical Director for Compassionate Care Hospice and has presented nationally at the Society of Hospital Medicine for Palliative Care. Most recently, Dr. Matthew collaborated with providers to develop a comprehensive palliative care program for the post-acute setting. Dr. Mathew has been married to his lovely wife, Michelle, for 13 years. They have four beautiful children.